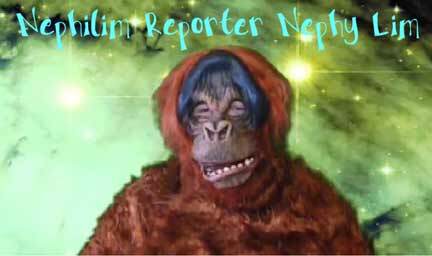 NEPHY LIM WITH FIRST LIVE TRANSMISSION OF A GENUINE NEPHILIM! Offers Earthlings A Louengletron, a Portable Portal machine to help overcome God’s Deafness! Well, now it there’s that there’s even more to the story! Just today Nephy Lim sent his first transmission from Outer Space where he is rapidly approaching Planet Earth. We hear that Nephy is preparing for the much-heralded Nephilim and Space Alien Invasion on December 21, 2012. Nephy Lim is now within range. Now here is his first greetings to Earthlings! Nephy’s Portable Portal device, the Louengletron, was named after Lou Engle, the bombastic youth movement leader of the New Apostolic Reformation who is noted for his bobble-headed and extreme shouting prayers.